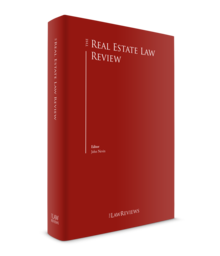 I am delighted to introduce the eighth edition of The Real Estate Law Review. The continued success of the Review confirms its relevance to real estate practitioners and their clients. Real estate is increasingly viewed on a global basis and readers can only benefit from a general understanding of how individual jurisdictions operate within the global real estate market. This edition extends to 31 jurisdictions, and we are delighted to welcome new contributions from distinguished practitioners from around the world. I am very grateful to all contributors for their hard work and essential role in compiling this eighth edition. Each chapter provides an invaluable insight into key legal issues and market trends in the author's jurisdiction and, together, they offer an up-to-date synopsis of the global real estate market. The Review seeks to identify distinctions in practice between the different jurisdictions by highlighting particular local issues. We believe that this offers investors and occupiers and their professional advisers an invaluable guide to real estate investment outside their own domestic market. Overseas investors are increasingly prepared to look beyond traditional markets and sectors to exploit international opportunities as and when they arise. Often, investors need to act quickly, and we hope that the Review provides an advantageous starting point to understanding cross-border transactions in the light of the reader's own domestic forum. International economic and political instability continues to have a significant effect on the global real estate market. In the UK, Brexit-generated uncertainty remains as negotiations for leaving the EU are still ongoing as we approach the 29 March 2019 deadline. However, the continued attraction of UK real estate to overseas investors confirms that each event or development in a particular country must be seen in a global context to ascertain the bigger picture. 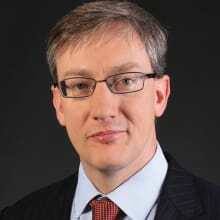 It is no longer possible to ignore globalisation and view real estate markets in isolation. Brexit notwithstanding, the UK remains a safe haven for investors from around the world, and investment levels in London and the wider UK market remain buoyant. In addition to all the distinguished authors, I would like to thank the members of the Law Review team for their tireless work in compiling this eighth edition of The Real Estate Law Review.